Trump has unveiled the deep vein of racism masked by the Obama presidency. 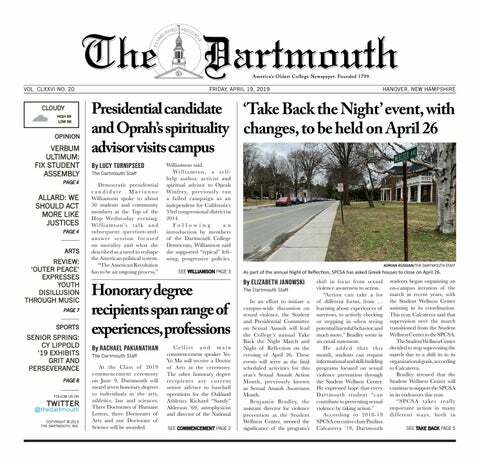 The Dartmouth community has yet to respect its conservative minority. The offensive remarks and actions made by Dinesh D’Souza ’83 are so numerous that I can only begin to break down a few of his most egregious ones. As winter term comes to an end, it’s as good a time as any to review the speakers the Dartmouth College Republicans have exposed our school to over the past two quarters: David Horowitz, Tawfik Hamid and Dinesh D’Souza ’83. The Dartmouth community has yet to value and support minority identities. Is the American Dream a pipe dream? Can we count on successes to know? The D’Souza talk was political theater and a missed opportunity. Becoming a mature man first requires becoming comfortable with oneself. Why we need to stop sensationalizing female success. Difficult questions are worth asking even if there are no clear answers. Dartmouth’s tolerance of racism enables violence in its community. What a grade inflation report reveals about Dartmouth’s view of education.